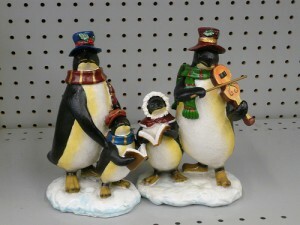 If you love a traditional Christmas, you may not be worried about gathering up plenty of home decorations as you will just need to go to your garage or attic and pull out your prized collection of Christmas decoration. But if you’re just starting out or want your decorations to complement your home’s decor, you’ll find that all your Christmas decorating decisions will be easier if you start out with a specific colour scheme. 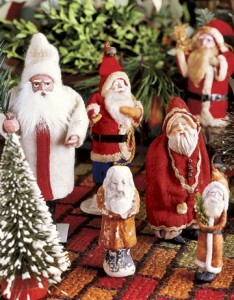 Your Christmas decorating efforts should start at the entrance way to your house. Creating an attractive festive front door doesn’t have to be elaborate, a few simple accessories can add to your holiday decorating efforts. 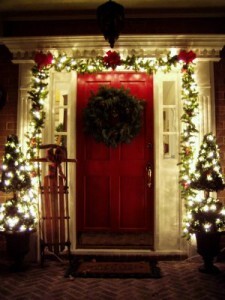 There are many things that can be done to make your front door say “Christmas”. If your theme is traditional, a grapevine or evergreen wreath will fit in nicely. 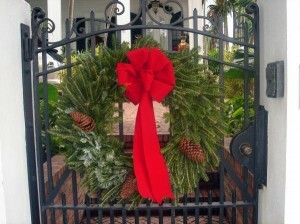 Consider purchasing a plain wreath and adding your own special touch such as red bows, ribbons or ornaments. 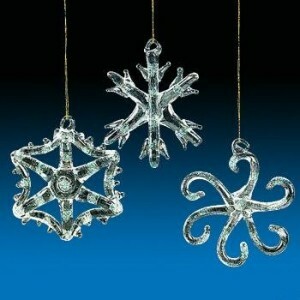 For modern christmas themes you can find floor matts or door ornaments which speak or flash lights etc. 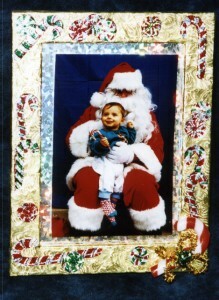 But whatever your theme may be, the first sign of Christmas starts at your door step. 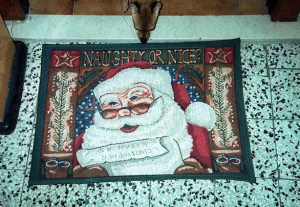 The stores will be overflowing with decorative, festive welcome doormats and what better way to show your Christmas spirit. Choose a doormat that is durable and you won’t mind visitors stepping on. Ideally the doormat should be large enough for someone to stand on but not overwhelming in size. Decide on a theme. 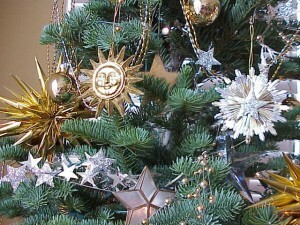 If you decorate your Christmas tree in a certain theme (red, silver or gold), you may choose to carry it out throughout the entire living room. 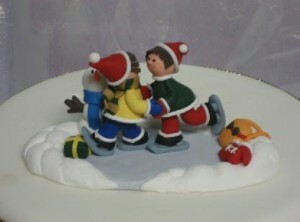 You can also choose to use plain decorations in Christmas colours. Start with your furniture. 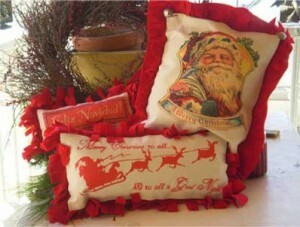 Get festive-coloured pillows for your couches and chairs. If you choose solid colours you may even be able to use them at other times during the year. 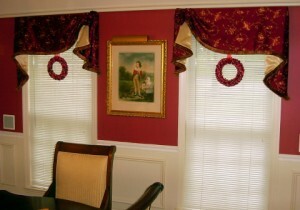 Hang festive-coloured curtains or drapes in the windows. 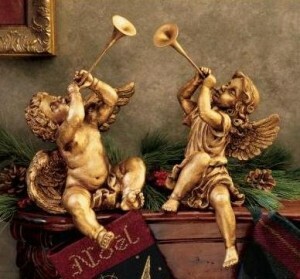 This will make a big difference in the look of the room. You can find coloured fabric at a craft store to make into simple curtains, or find cheap solid coloured curtains. Place candles all around the room to give the room a soft glow. 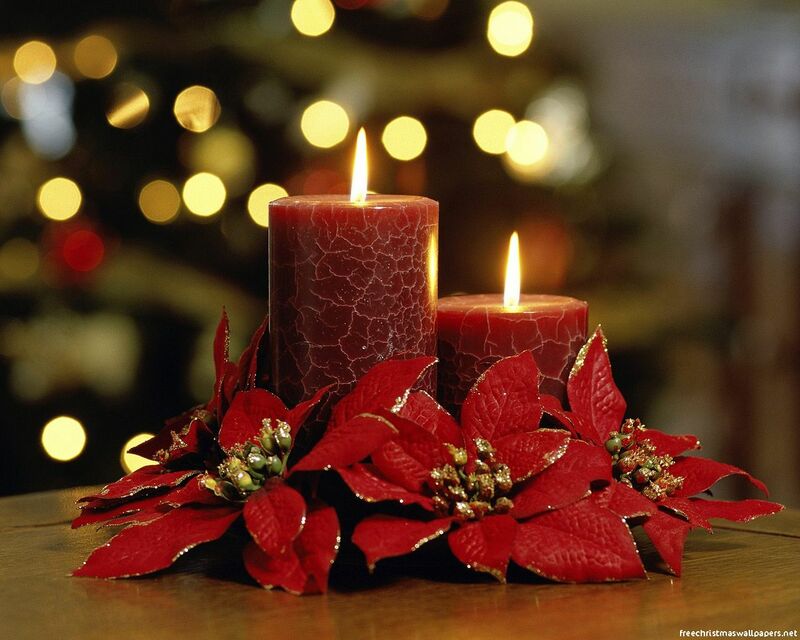 You can find seasonal candles available in Christmas colours and scents at most craft stores. 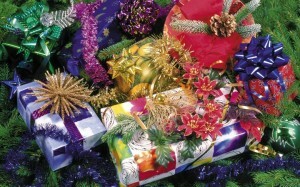 Wrap big boxes with Christmas wrapping paper and place in areas around the room. You can wrap the top of your coffee table to look like a gift. 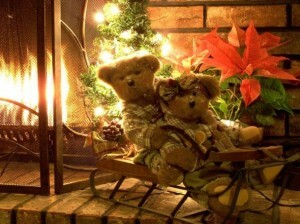 If your home has a staircase you know how beautiful it can look with some decorations. 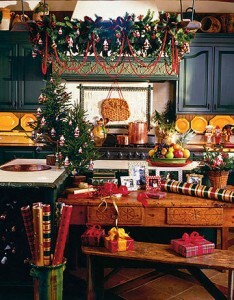 It’s possible to make a garland out of many materials, including pine, ivy, pine cones, and decorative garlands. 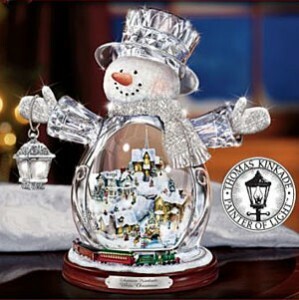 Add holiday touches with metallic berries or ornaments, shimmering satin or velvet ribbons, garlands of flowers. 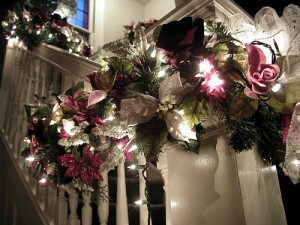 You can also attach a wreath at intervals up the stairs, tied with holiday decorative ribbons. If you like, you can link them together with ribbons.